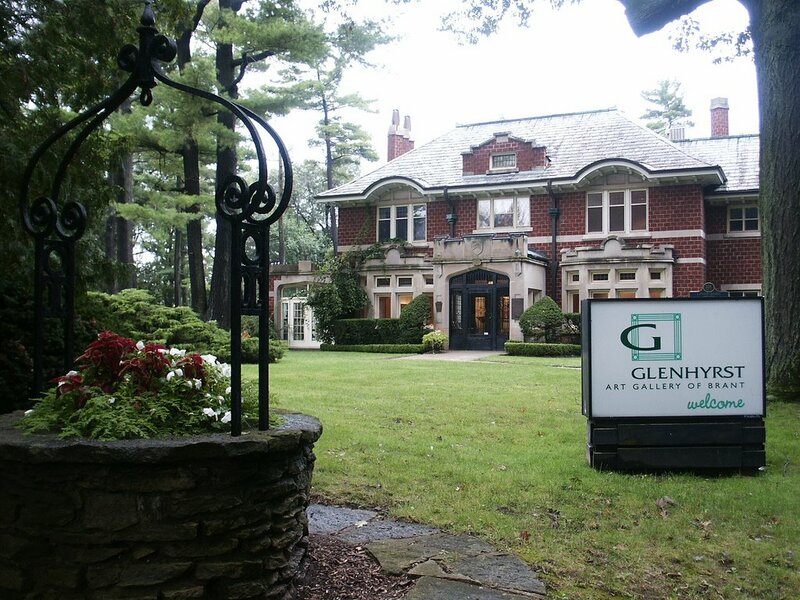 An exhibition of paintings at the Glenhyrst Art Gallery of Brant. By turning the lights on in her paintings, Petra Halkes transforms outdoor scenes from ordinary city life into glowing fantasy spaces full of speed, colour and radiance. Sun, stars, moon and fire make way for artificial light sources in these works. In the absence of such natural way finders, we lose a sense of place and time: these paintings could have been painted on any night, in any modern city, anywhere in the world. Familiar-looking, they create, nonetheless, a sense of other-worldliness, and spark a desire to transcend the limited, human realm into a shimmering universe of light. Yet, artificial lights, glowing in the dark, fabricate nothing more than a human-made, contrived cosmos, with human rules, pleasures and horrors. While Halkes shows that lights in the city may at times provide beauty, exhilaration and pleasure, she does not ignore the need for stillness and solidity, the desire for a sense of home. 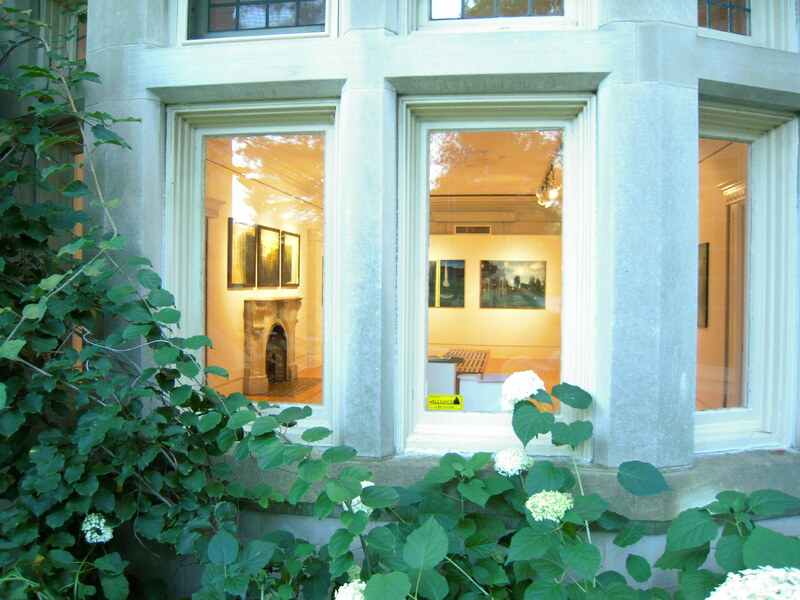 Indoor scenes are painted as they are reflected on the rooms’ windows in twilight. Seen from the inside out, the spaces blend in with the city outside, rendering them at once secure and vulnerable. The lights in Halkes’ paintings may signify a desire for transcendence, but the material reality of paint always brings us back to earth. Paint’s slowness, its flowing, dripping, congealing and cracking, are attributes all too familiar to our own deteriorating bodies. Paint, here, serves as a reminder of our biological reality. 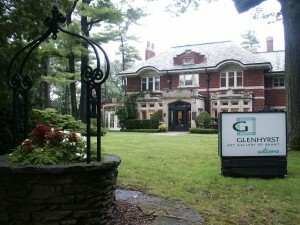 Gallery Hours: Tuesday – Friday, 10:00 a.m. – 5:00 p.m. Saturday & Sunday, 12:00 – 5:00 p.m.